LANCASTER, Pa. (January 17, 2019) – EZMarketing is proud to announce the launch of The Moulding Company’s new website, www.themouldingcompany.com. The Moulding Company needed to revamp their website and they wanted the “WOW” factor built into the design. They turned to EZMarketing for their website development because they were confident that EZ could make their vision a reality. 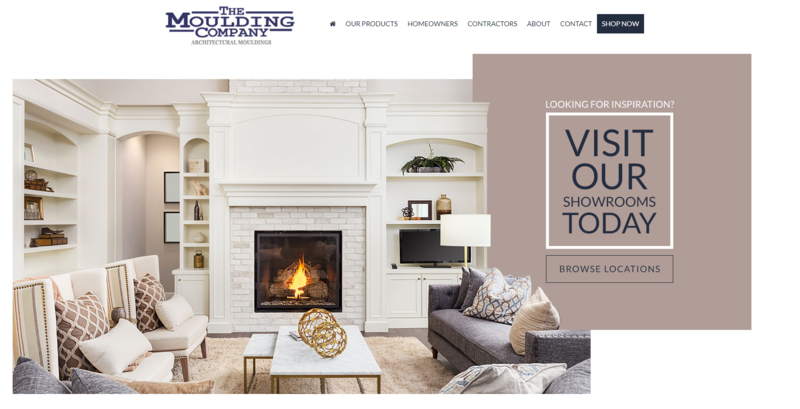 "The design of The Moulding Company website needed to reflect the beautiful aesthetics of their products," said Marie Sonder, Web Designer and Developer for EZMarketing. "We created a site that was less cluttered and easier for users to navigate." About EZMarketing - EZMarketing is a Lancaster, Pa. marketing agency specializing in website design and digital marketing. Through results-driven marketing strategies, EZMarketing makes it easier for small businesses throughout Lancaster, York, and Harrisburg to achieve their business dreams. For more information, visit us at www.ezmarketing.com. About The Moulding Company – The Moulding Company provides quality architectural moulding services to homeowners and contractors throughout northern California from 3 locations. They have been serving the San Francisco Bay Area with high-quality wood trim moulding for over 45 years with experts in both interior and exterior moulding. For more information, visit www.themouldingcompany.com. ©2018, EZMarketing. All Rights Reserved.